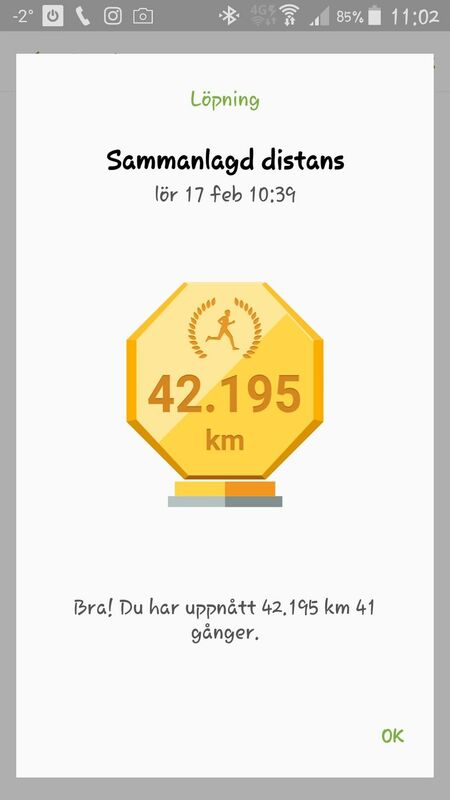 Today I reached my 41th marathon distance running since I started running in Juli 2014. When I started running I choose it because I hated running in school and I wanted to test myself to do so much more than just boxing and power walking. Little did I know I would start to love running so much. Today&apos;s distance was 5,2 km in 30:09 and it was only my stubbornness that made me pull through as my legs was heavier than ever before. I&apos;m grateful for My stubbornness that have helped me pull through so many times.